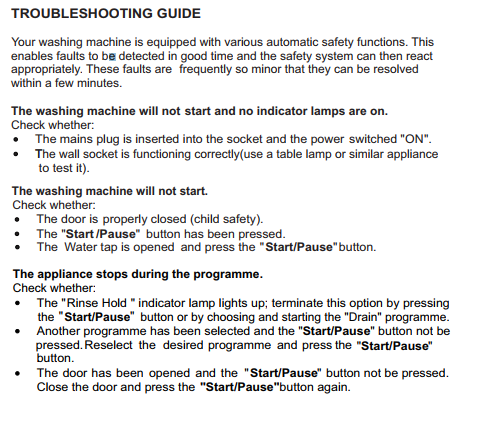 We have given here Hisense Washing Machine Error Codes And How to Troubleshoot. Hisense washer display error code whenever it enter any issues or fault. The digital display in Hisense washing machine displays every important information that you will need while washing like washtime etc. It also display the Hisense Washer Error Codes. 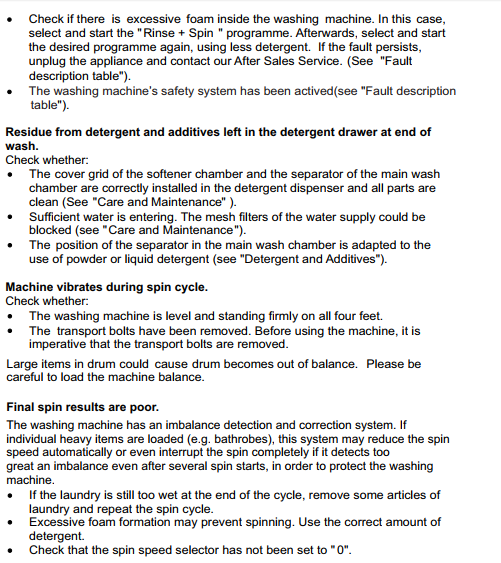 Below you will find all Hisense Washing Machine Error Codes and How to troubleshoot. If you are unable to find the error code that your Hisense washing machine is displaying then please do comment and we will try to help you in resolving it. After-Sales Service(see “After-Sales Service ). We Hope that Now you are able to resolve Hisense Washing Machine Error Codes. Please find other washing machine solution keep visiting us. Please do comment for any questions or suggestion. READ [SOLVED] How to Fix Washing Machine Leaking Water From Bottom? My Hisense gives E1 when wash cycle must start. Please help! My Hisense is showing E2. Why?